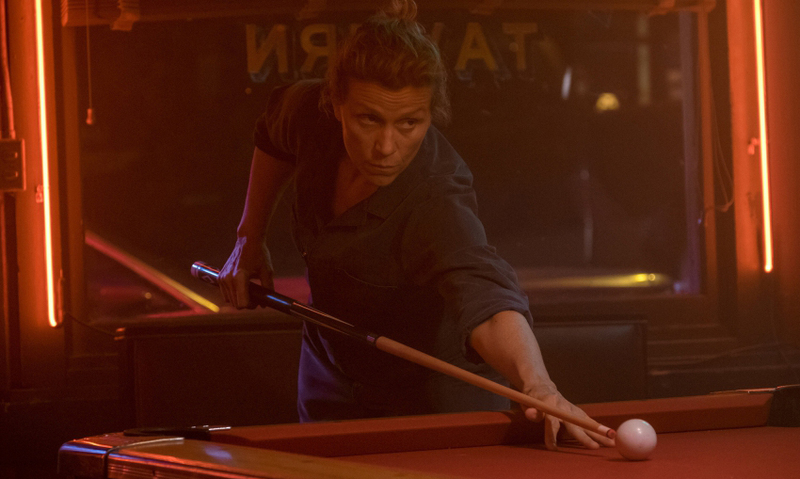 The darkly comic writer-director of In Bruges and Seven Psychopaths wrote the character of Mildred Hayes with McDormand in mind, and it fits her like a glove. Mildred is grieving the loss of her daughter, who was found brutally murdered seven months earlier, and increasingly infuriated at the seeming inaction of the police department in finding the culprit. 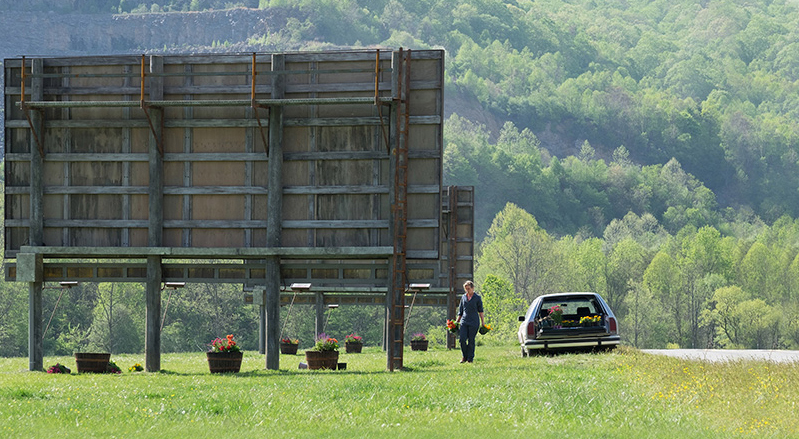 Mildred rents out three sequential billboards along a street near her house, asking a question in three parts so inflammatory it ignites a war between her and the Ebbing P.D., headed by Sherriff Willoughby (Woody Harrelson), who is himself “aided” by the borderline incompetent officer Dixon (Sam Rockwell). To an extent, the specific plot thereafter is unimportant, compared to the power of the three leads, and McDonagh his crafted a trifecta with a fascinating dynamic. Mildred, Willoughby, and Dixon are all wonderfully lived-in, subtly powerful characters that provide a wonderful playground for the leads to entertain themselves in. Even the supporting characters are fascinating, with memorable performances that always hew just shy of becoming caricatures, like a less quirky Nebraska. In Ebbing, McDonagh has evoked a town you’d almost want to visit — if not for the rampant racism, bigotry, and rage crimes. The only trouble is that the movie falls in love with these characters, too, to the point it overstays its welcome. A film like this doesn’t need a fourth act, particularly after where the climax of the third leaves things, but it continues on past its best time to exit, to the movie’s minor detriment. Woody Harrelson is an actor who’s always been able to toggle between goofy characters in Cheers and The Hunger Games and serious ones in Natural Born Killers and No Country for Old Men. He straddles the two styles here, adapting Willoughby into the smart one when dealing with Dixon and the outwitted one when dealing with Mildred. Rockwell, one of the most underappreciated actors of the last two decades in everything from Galaxy Quest to The Way Way Back, once again gives a fantastic performance, channelling his likability into oafishness and forcing you to watch his character’s ignorance damage progress and lives, choice by choice. Of course, this is really all McDormand’s movie. Not since Fargo has a film so perfectly used every skill in her toolbox. And those skills have only matured and strengthened in the two decades since. The character of Mildred was already well written and three-dimensional, but it needed a true actor to make her live, which it got in spades. 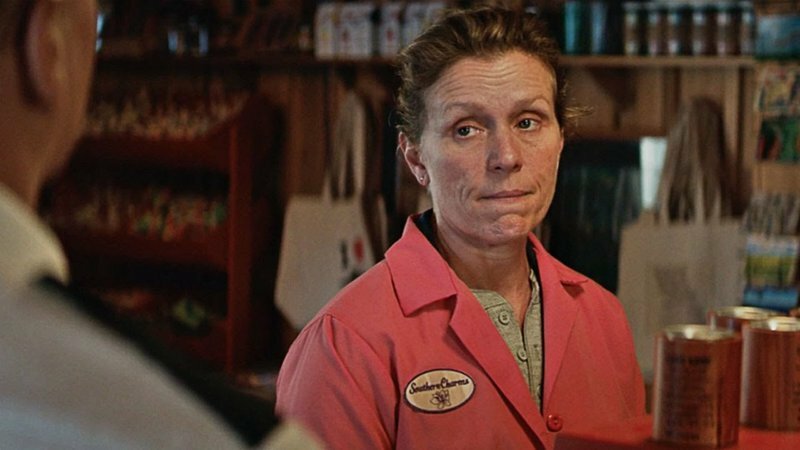 Three Billboards Outside Ebbing, Missouri is a showcase for McDormand’s very greatest performance. It’s spellbinding to watch and the kind of acting drama classes will likely use to reference depicting grief. 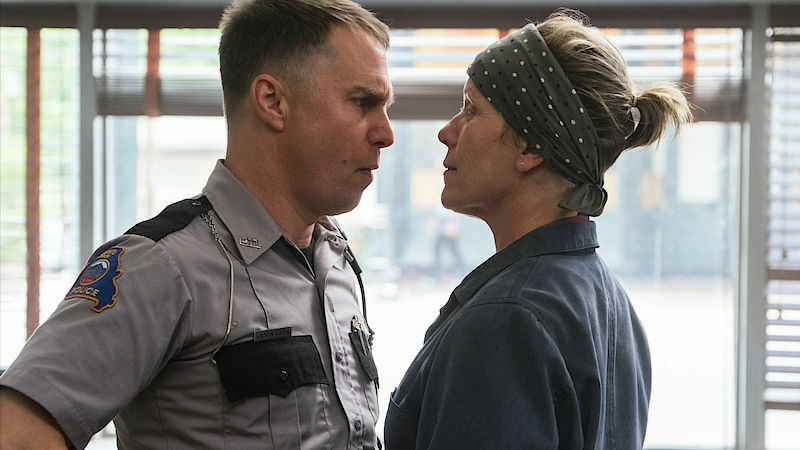 It downright overshadows just how great a movie Three Billboards is on its own.